Human Resources & the Employee Handbook: Do You Have One? | WTA Inc.
Human resources is a topic that’s fraught with potential financial risk and legal liability for your business. Consequently, you must do everything you can to protect yourself and the company’s future. Your employee handbook can provide a number of benefits and protections – but only if it’s written correctly and updated as often as necessary to reflect changes in the law and other relevant factors. Unfortunately, a large percentage of small to medium-sized businesses do not have a handbook. Many business owners don’t believe it’s a priority, especially if the company only has a handful of employees. Without one, however, you could find yourself in the middle of an expensive and potentially devastating situation. A handbook allows you to show new employees what your company is about, explain what they can expect when they come to work for you and assist them in knowing where to turn if they need help. But, from a legal perspective, the benefits of a human resources handbook become much more important. A handbook allows you to formally communicate company policies and lay out the obligations of your employees. This ensures that every employee is given clear and consistent information. It also ensures that your company is in compliance with governing laws and regulations. When a current or former employee threatens (or takes) legal action against your company, your handbook may be your ticket out of trouble – assuming you enforce its policies consistently across the board. 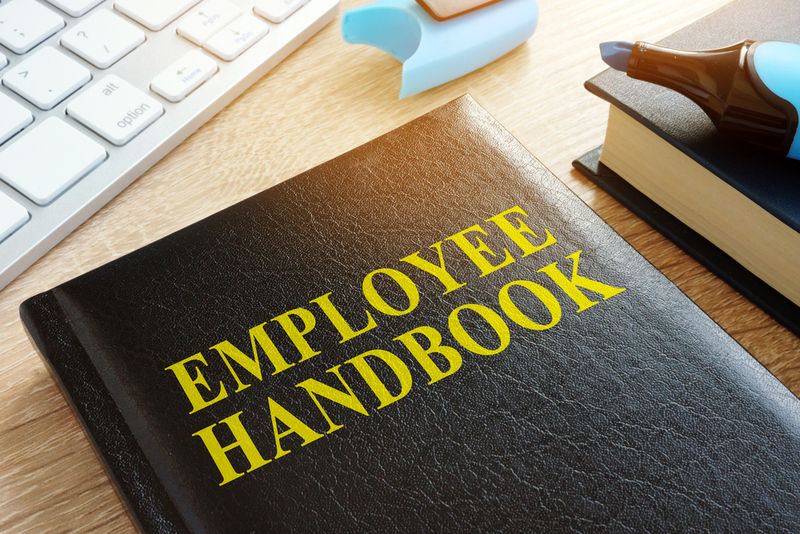 An employee handbook proves that your company exercised reasonable care to uphold its legal obligations to your employees. It also demonstrates that you clearly communicated the company’s required code of conduct and the penalties for violating the rules. Upon issuing the handbook to new hire, requiring them to sign an acknowledgment will demonstrate that the employee read, understood and agreed to everything contained therein. This is key in the event of any challenge or legal issue that comes up. You can find templates in a variety of locations, online or through small business associations. However, you have no guarantee that the information is relevant or up-to-date. You could invest the hefty sum it would take to have an attorney draft a handbook for you. This will ensure your manual is legally compliant but you’ll have to revisit the attorney periodically for updates. Or you could use the services of a professional employer organization (PEO), who will include this important document as a part of their services. WTA Inc. provides a full range of human resources and payroll administration to businesses throughout Utah and Nevada. Our comprehensive HR outsourcing services protect you and your business, minimizing your risk and saving you money. Contact us today to learn more about our human resources services, including recruitment and hiring, risk management, onboarding and employee handbooks.